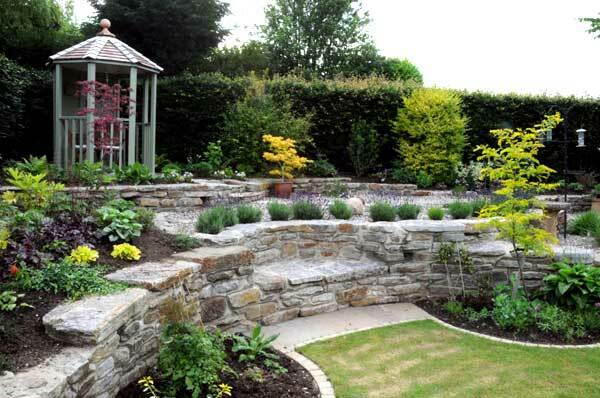 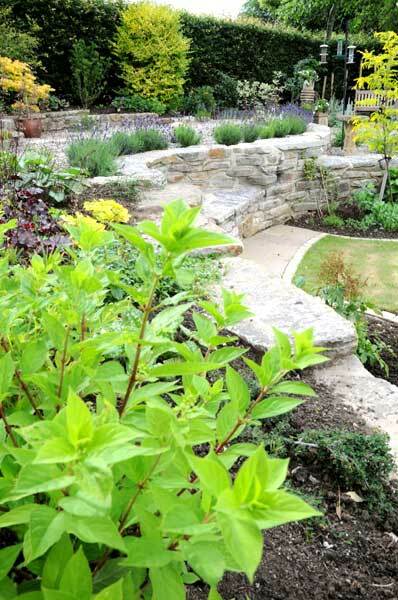 Split level garden, retaining walls built from natural sand stone incorporating steps and seating. 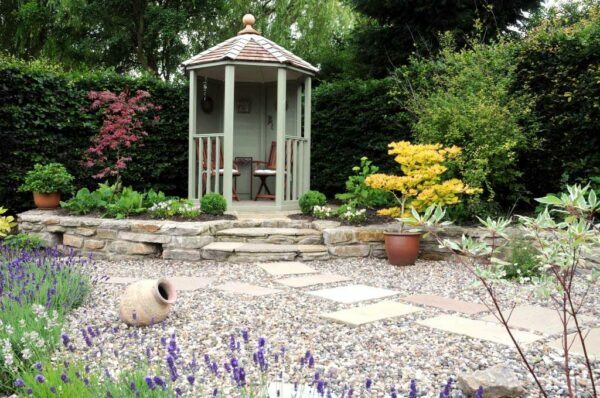 Timber summer house on a natural stone paved base and planted ornamental gravel area. 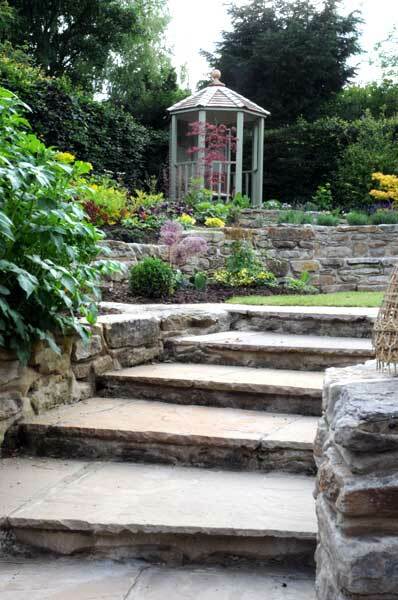 Natural stone paved patio area and planted rock outcrop with wildlife pond. 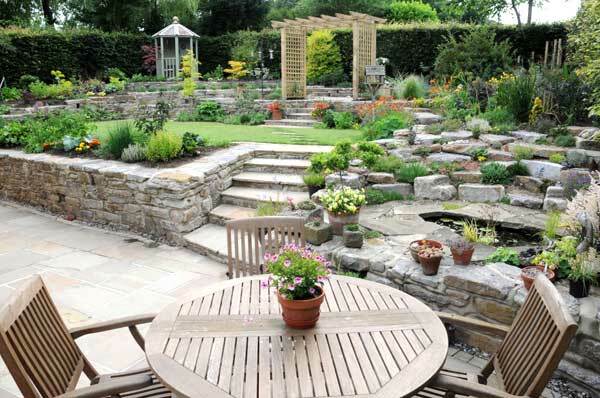 Lawn area with planted borders and timber pagola.